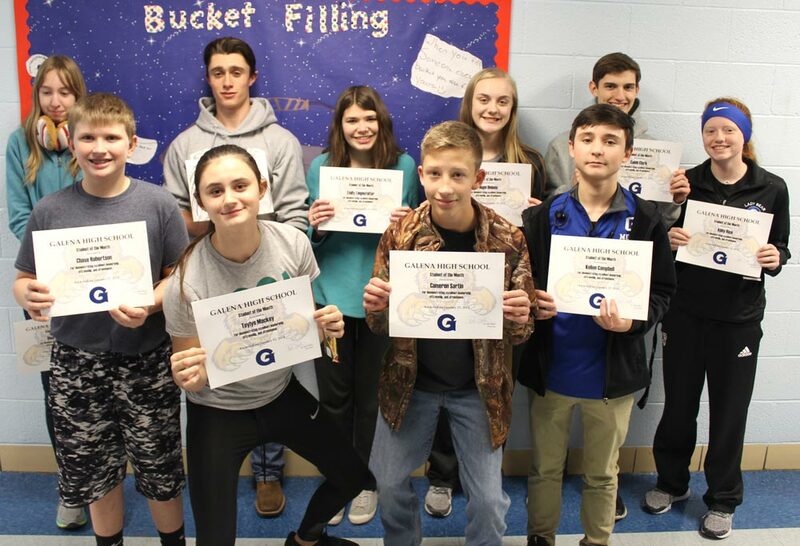 January Students of the Month at Galena High School are pictured above. In the back row, from left to right, are Susanna Dillard, River Verweire, Emily Lingenfelter, Hope Deines, Caleb Clark and Abby Rice. Front row: Chase Robertson, Taylyn Mackey, Cameron Sartin and Kellen Campbell. Not pictured: Tatum Johnson and Caleb McCullough.